Technological linkages between justice and law enforcement agencies are radically altering criminal process and access to justice for prisoners. Video links, integral to an increasingly networked justice matrix, enable the custodial appearance of prisoners in remote courts and are becoming the dominant form of court appearance for incarcerated defendants. This book argues that the incorporation of such technologies into prisons is not without consequence: technologies make a critical difference to prisoners’ experiences of criminal justice. 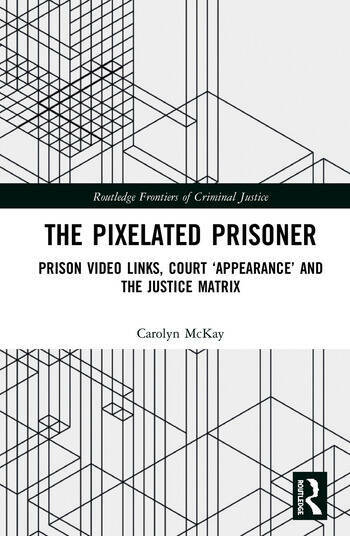 By focusing on the prison endpoint and engaging with the population most affected by video links – the prisoners themselves – this book interrogates the legal and conceptual shifts brought about by the technology’s displacement of physical court appearance. The central argument is that custodial appearance has created a heightened zone of demarcation between prisoners and courtroom participants. This demarcation is explored through the transformed spatial, corporeal and visual relationships. The cumulative demarcations challenge procedural justice and profoundly recompose prisoners’ legal experiences in ways not necessarily recognised by policy-makers. Dr Carolyn McKay is a Lecturer in Law at the University of Sydney Law School.